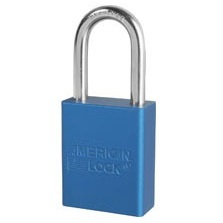 American Lock solid aluminum padlocks are made from an exclusive aluminum alloy, offering stong protection against the elements. Features hardened boron alloy steel shackles for superior cut resistance and are chrome plated for extra corrosion resistance. Each lock includes 2 keys. Master keys also available.